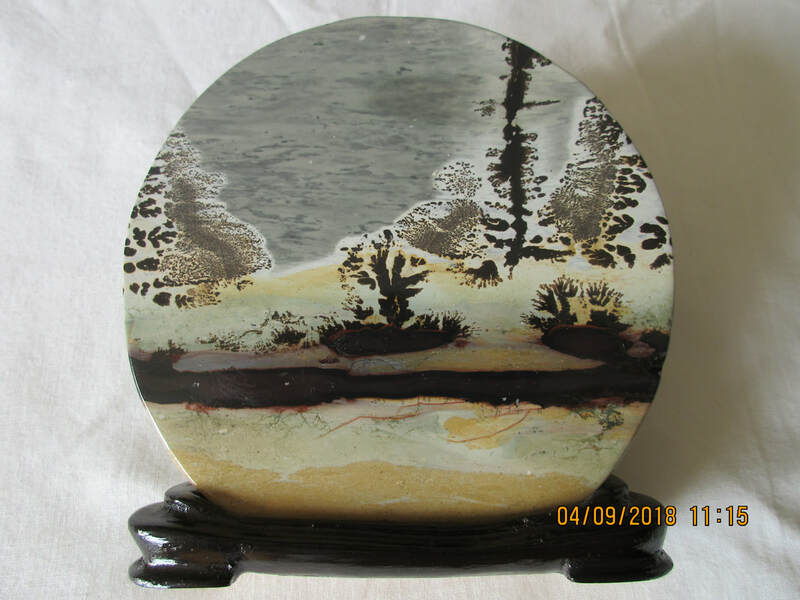 One very fascinating aspect of lapidary is the collecting of “picture rocks.” These are rocks that have a picture in them that were painted by nature. Some of the pictures are very clearly seen, others you have to use your imagination to visualize a picture. Not every rock has a picture; as matter of fact a very small portion of the rocks contain any semblance of a scene or picture. 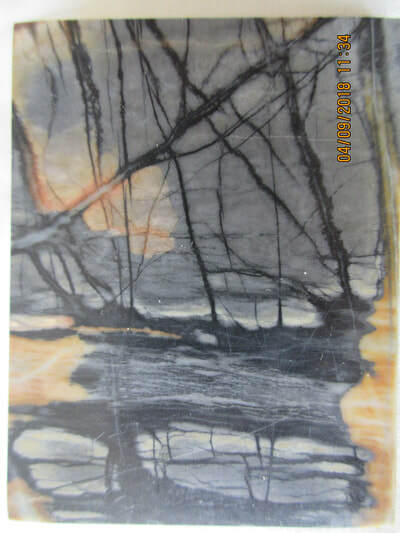 Various varieties of rocks may contain a picture but the most common one is Jasper. 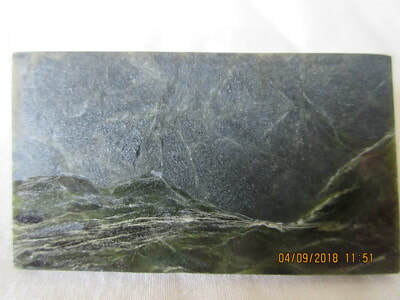 Jasper is a chemical sedimentary rock, a chalcedony (of the quartz family), which is formed by deposition of silica directly by precipitation from water enriched with a variety of minerals to give it many different colors. 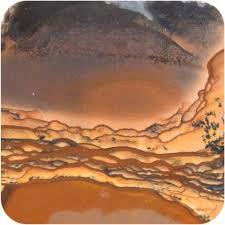 It is the deposition of the various colors that enable the potential for a picture in the rock. The name chalcedony covers a large group of quartzes, including all agates, carnelians, jaspers and chrysoprase. But pure chalcedony, however, has its own properties in that it is usually translucent. In order to collect picture rocks one has to do one of two things. You can buy cut rock slabs from various rock dealers or lapidaryists. But almost always the best picture is retained by the cutters unless you find someone who is willing to part with the rock and you are willing to pay a premium price for the slab. The other approach is to cut your own rocks with the potential of maybe finding a picture. This alternative is not only expensive but also time consuming. A 20 inch or larger diameter saw is required and one has to cut rock after rock to come across a rock that has a picture. You can improve your chance of finding a picture by cutting rocks known to have pictures. 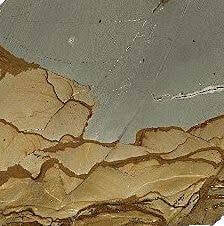 These jaspers are formed in areas where volcanic action took place which pretty well eliminates the Alberta region. The jasper rocks have been given names based on where or by whom they were found but these names are not official. The lapidary community around the world has adopted these names as a reference to where these rocks originated. It is interesting to show these various jasper rocks to the lapidary people and they will immediately identify the rock as “so and so from so and so .” Some names given to japers are: Biggs, Burro Creek, Owyhee, Cripple Creek, Hart Mountain, Maury Mountain, Morrisonite, Pauite, Succor Creek, Willow Creek, Wild Horse, etc. All of these names are indicative of where they were found. Picture rocks are generally fairly hard so the cutting and finishing of the rocks is quite difficult. If you cut a marble or an onyx which occasionally will produce a picture, these rocks are fairly soft. The jaspers on the other hand tend to be a hardness of 7 to 71/2 so the flat rocks are almost impossible to polish to a high shine without special procedures. 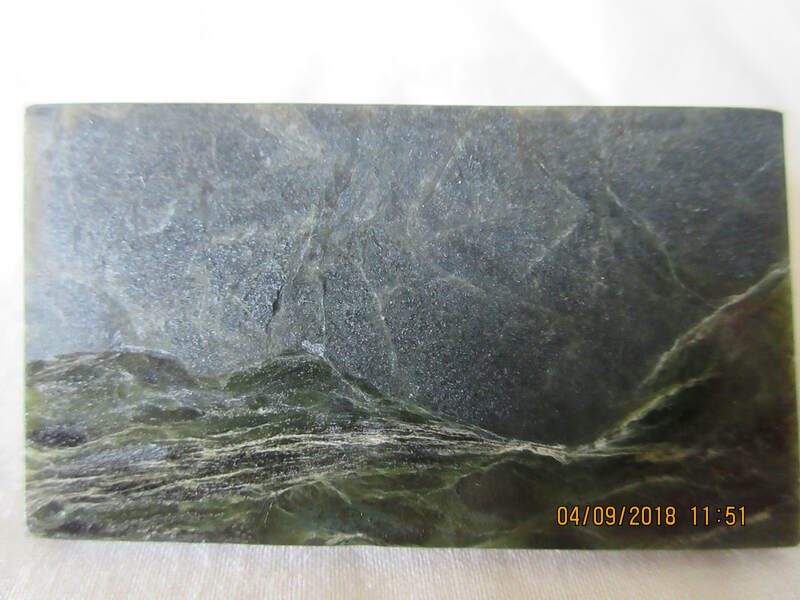 I found that I prefer the finished rocks to be finished to a dull luster because the high shine made a glare and it was hard to see the picture. Below are samples of Picture Rocks that were cut and polished.